Jade Bird performs in the World Cafe Performance Studio. There is no way to know — at least not from the depth and maturity of her music — just how young Jade Bird was when she wrote the songs on her new EP. She tells us in this session that she just turned 20, and that many of her songs were written when she was 17 or 18! 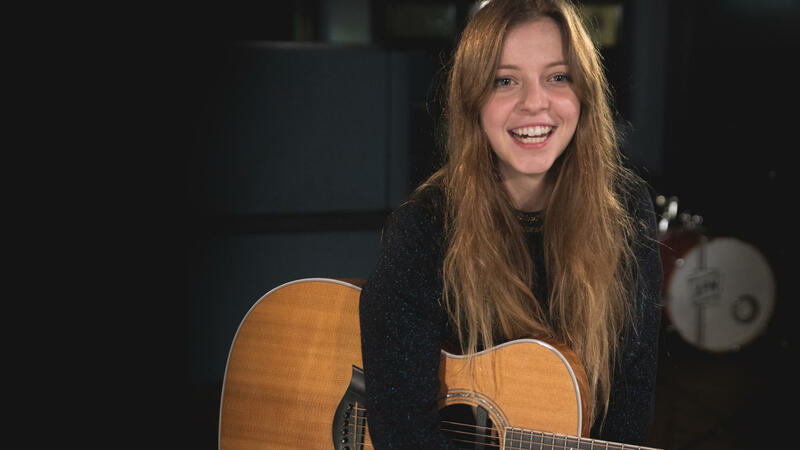 She may be young, but the London-based singer-songwriter tells us she draws inspiration from an older crowd: Neil Young, Bob Dylan, even Son House. She was blown away to record with producer Simone Felice of the Felice Brothers in his studio in the Catskill Mountains. In this session, we get to see if she can remember all the words to the Johnny Cash song "I've Been Everywhere" and hear a brand new song. Listen in the player above.